Your access to and use of Sierra West Publishing’s website is subject exclusively to these Terms and Conditions. You will not use the Website for any purpose that is unlawful or prohibited by these Terms and Conditions. By using the Website you are fully accepting the terms, conditions and disclaimers contained in this notice. If you do not accept these Terms and Conditions you must immediately stop using the Website. The materials on Sierra West Publishing’s website are provided “as is”. Sierra West Publishing’s makes no warranties, expressed or implied, and hereby disclaims and negates all other warranties, including without limitation, implied warranties or conditions of merchantability, fitness for a particular purpose, or non-infringement of intellectual property or other violation of rights. 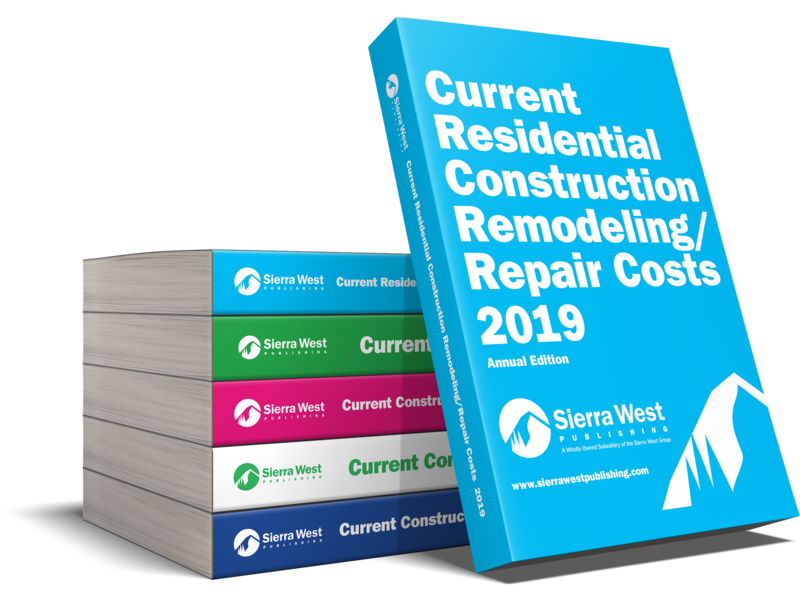 Further, Sierra West Publishing does not warrant or make any representations concerning the accuracy, likely results, or reliability of the use of the materials on its Website or otherwise relating to such materials or on any sites linked to this site. Fees and Payments You agree to pay the subscription fees and any other charges incurred in connection with your account for a Service (including any applicable taxes) at the rates in effect when the charges were incurred. Subscription fees will be billed at the beginning of your subscription or any renewal. Generally, all fees and charges are non-refundable and we reserve the right to issue refunds or credits at our sole discretion. If we do issue a refund or credit, we are under no obligation to issue the same or similar refund in the future. We may change the fees and charges then in effect, or add new fees or charges, by giving you notice in advance and an opportunity to cancel. If you want to use a different credit card or you need to update your credit card details. If you believe someone has accessed a Service using your username and password without your authorization, please immediately notify us. You are responsible for any fees or charges incurred to access a Service through an Internet access provider or other Third Party service. Cancellation and Renewal This Agreement shall remain in full force and effect while you use the Services. Your subscription will renew automatically until it is cancelled in accordance with this Section. For all subscriptions, you must cancel your subscription before it renews in order to avoid billing of subscription fees for the renewal term to your credit card unless you pay by check. We may cancel your subscription at any time upon notice to you. Only one individual may access a Service at the same time using the same user name or password, unless we agree otherwise in a written consent. The text, graphics, images, video, artwork, pdfs, digital files, metadata and other data, design, organization, compilation, look and feel, advertising and all other protectable intellectual property, including but not limited to any copyrights, trademarks, service marks, trade names, trade dress, patent rights, or database rights (the “Content”) available through the Services are our property or the property of our advertisers and licensors and are protected by copyright and other intellectual property laws. Unless you have our written consent, you may not use, sell, publish, distribute, retransmit or otherwise provide access to the Content. You agree not to rearrange or modify the Content available through a Service. You agree not to display, post, frame, or scrape the Content for use on another web site, app, blog, product or service, except as otherwise expressly permitted by this Agreement. You agree not to create any derivative work based on or containing the Content. The framing or scraping of or in-line linking to the Services or any Content contained thereon and/or the use of webcrawler, spidering or other automated means to access, copy, index, process and/or store any Content made available on or through the Services other than as expressly authorized by us is prohibited. You may not create apps, extensions, or other products and services that use our Content without our permission. You may not aggregate or otherwise use our Content in a manner that could reasonably serve as a substitute for a subscription to a Service. Any unauthorized or prohibited use of any Content may subject you to civil liability, criminal prosecution, or both, under applicable federal, state, local laws, or applicable foreign laws, rules, regulations and treaties. We require users to respect our copyrights, trademarks, and other intellectual property rights and shall enforce same. Sierra West Publishing reserves the right to change or remove the Website or any part of it without notice and you confirm that Sierra West Publishing shall not be liable to you for any such change or removal and. In addition, Sierra West Publishing reserves the right to change these Terms and Conditions at any time, and your continued use of the Website following any changes shall be deemed to be your acceptance of such change. You may not create a link to any page of this website without our prior consent. If you do create a link to a page of this website you do so at your own risk and the exclusions and limitations set out above will apply to your use of this website by linking to it. Copyright Notice, Copyright and other relevant intellectual property rights exist on all text relating to Sierra West Publishing’s services and the full content of this website. This organization’s logo is a registered trademark in the State of California. The brand names and specific services of this Organization featured on this web site are trademarked. As a condition of your use of Sierra West Publishing’s Website, you warrant to Sierra West Publishing that you will not use Sierra West Publishing’s Website for any purpose that is unlawful or prohibited by these terms, conditions, and notices. You may not use Sierra West Publishing’s website in any manner which could damage, disable, overburden, or impair Sierra West Publishing ‘s website or interfere with any other party’s use and enjoyment of Sierra West Publishing’s website. You may not obtain or attempt to obtain any materials or information through any means not intentionally made available or provided for through Sierra West Publishing’s websites. These Terms and Conditions shall be governed by and construed in accordance with the law of the United States and you hereby submit to the exclusive jurisdiction of the United States courts. Your privacy is very important to us. The following information concerning the gathering and use of data is being provided to enable you to make knowledgeable choices about whether to provide information to us and to give you the opportunity to limit the manner in which data is used. We recognize that visitors to our site may be concerned about the information they provide to us, and how we treat that information. The personally identifiable information we collect from individuals is only the information they provide to us voluntarily and knowingly; we do not require you to register or provide information to us in order to visit the public portion of our site. Sierra West Publishing only gathers personally identifiable data: addresses, zip codes, email addresses, etc. when voluntarily submitted by a visitor. This information is used solely by Sierra West Publishing or other affiliated parties to execute the transaction as agreed by the visitor. Any information concerning the Client and their respective Client Records may be passed to third parties. However, Client records are regarded as confidential and therefore will not be divulged to any third party, other than Sierra West Publishing if legally required to do so to the appropriate authorities. Clients have the right to request sight of, and copies of any and all Client Records we keep, on the proviso that we are given reasonable notice of such a request. Clients are requested to retain copies of any literature issued in relation to the provision of our services. Where appropriate, we shall issue Client’s with appropriate written information, handouts or copies of records as part of an agreed contract, for the benefit of both parties. We will not sell, share, or rent your personal information to any third party or use your e-mail address for unsolicited mail. Any emails sent by this organization will only be in connection with the provision of agreed services and products. We have addressed the safety and security of your transaction with the greatest consideration. We take standard security protocols, such as encryption, to secure your information. We do not monitor or review the content of other party’s websites which are linked to from this website. Opinions expressed material appearing on such websites is not necessarily shared or endorsed by us and should not be regarded as the publisher of such opinions or material. Please be aware that we are not responsible for the privacy practices, or content, of these sites. We encourage our users to be aware when they leave our site & to read the privacy statements of these sites. You should evaluate the security and trustworthiness of any other site connected to this site or accessed through this site yourself, before disclosing any personal information to them. This Company will not accept any responsibility for any loss or damage in whatever manner, howsoever caused, resulting from your disclosure to third parties of personal information. We will use your e-mail address only when we are confirming your donation or notifying you of Sierra West Publishing’s activities that we feel may be interesting and useful you. Your e-mail address will not be made available to other organizations. Sierra West Publishing will never send you any unsolicited information. At any time you do not want to receive email from us on information regarding offers or advertisements at any time., please let us know by sending us an email at the email address listed in the Contact section. In your email please provide us with your name, phone number, and email address registered and we will be sure your name is removed from the list.